This thread is simple! Rather than having a million little threads about everything that goes on at the Tokyo Disneyland Resort, including Tokyo Disneyland and Tokyo DisneySea, this thread is designed to consolidate it all into one user-friendly thread. Feel free to use it to post updates, trip reports, questions, comments, and of course, general discussion. For pictures and videos of these park as well as past updates, see TPR's Tokyo Disneyland Park Index Page and TPR's Tokyo DisneySea Park Index Page. 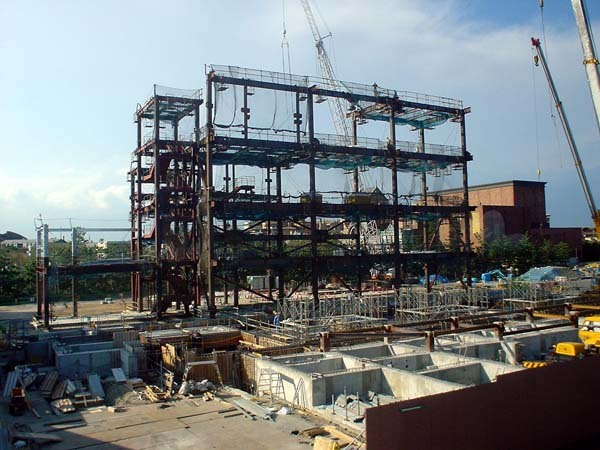 May 16th, 2005 - New Tower of Terror construction goes vertical! - SEE BELOW! May 20th, 2005 - Tower of Terror construction progresses quickly! July 8th, 2006 - Tower of Terror open and looking awesome! September 5th, 2006 - Tower of Terror official storyline revealed! July 8th, 2008 - Tokyo Disneyland Hotel now open! February 2nd, 2010 - Tokyo DisneySea announces new version of Fantasmic! June 26th, 2012 - Photos from inside of the new Toy Story Mania! July 15th, 2012 - Tokyo Disneyland's 30th anniversary celebration announced! January 20th, 2013 - See the Tokyo Disney Resort IN THE SNOW!!! June 23rd, 2013 - New castle fireworks & Mermaid Lagoon show announced! July 12th, 2013 - $16 million USD Jungle Cruise overhaul announced! October 2nd, 2013 - Tokyo Disney sees record attendance numbers! December 19th, 2013 - Stitch Encounter to replace Captain EO! January 20th, 2014 - Oriental Land Company sees record profits once again! March 31st, 2014 - Oswald Meet & Greet Opens at Tokyo DisneySea! April 28th, 2015 - Expansion details announced! Scandinavia (Frozen), Alice in Wonderland, Beauty and the Beast and more! June 11th, 2015 - Tokyo DisneySea 15th anniversary details announced! June 23rd, 2015 - "Disney's Halloween" event details announced! June 14th, 2018 - DisneySea expansion: Frozen, Tangled, Peter Pan, Hotel and more announced! November 28th, 2018 - Toy Story-themed hotel announced to open in 2021! December 5th, 2018 - New Tokyo Disneyland expansion details announced! January 26th, 2019 - Soaring: Fantastic Flights opens on July 23rd, 2019! TDLFAN has just updated his photo gallery with a few ToT photos at Tokyo Disneyland. 1. It looks a lot like the T-shaped DCA version. Last edited by jedimaster1227 on Sat Jan 26, 2019 10:59 am. omg!!! That hotel is HUGE!!! I like the Tokyo design. I think it is great to have other designs at each Disney Park. I am so curious how the Paris design will be? i wonder if the ride will be different than the ones in america. I think they are good rides. WOW! ToT has really gone up fast! Robb, I was comparing it to the picture from six moths ago, and dang! Lets hope that it's good! I wonder how the sushi is in Japan? Do they know about Sake Bombs? Oh... Tower of Terror Rocks!!!!! I need to get over there and meet this Pikachu character. Sheesh -- can we say to scale. I see no forced perspective tricks on this baby. Intimidating! Anyone know the official height? Can't find it online.